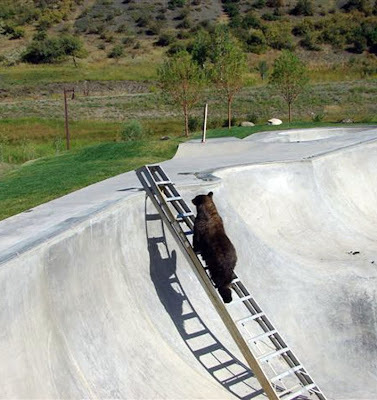 A bear that got stuck in a skateboard park climbed up a ladder to make its escape. 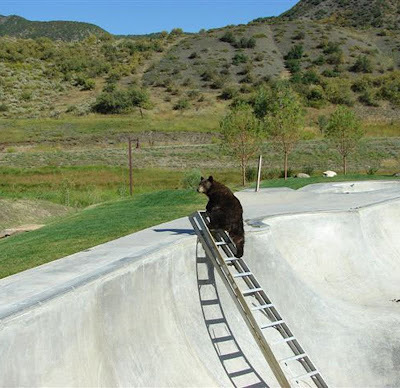 The animal had been stuck in the sunken skating bowl overnight and could not get up the steep-sided concrete walls on its own. 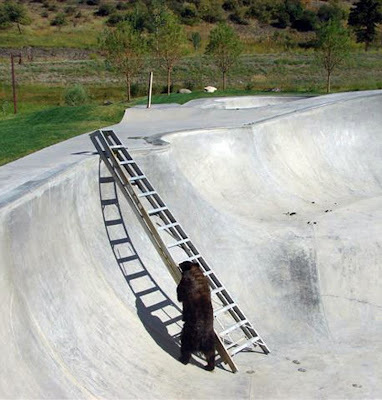 Officials in the town of Snowmass, Colorado lowered down a long ladder, which the bear walked across before heading back to the woods. The bear was uninjured by its experience. 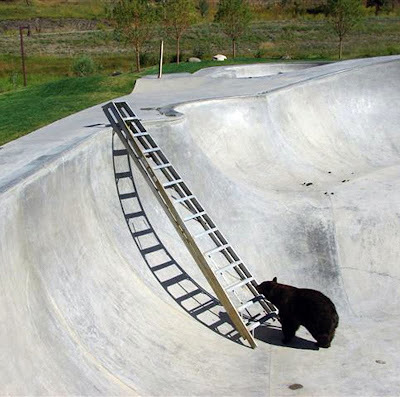 Don’t teach the bears how to climb ladders! We need those walls, to separate the bears from our yummy arms and legs. What’s the second part of the plan, coat doorknobs in honey? I’m scared to even turn around right now, one of these new Super Bears may have snuck up behind me. O me, O my, look what has happened now... Armed Bears... Did anyone read the second amendment? Keep and bear arms, not Keep and arm bears!!! We are all doomed!! !